Hemming jeans sounded really complicated to me so I never tried it. When I finally had to hem a pair of jeans I looked up some videos and found out its really easy and it looks really good! The key here is that you need to keep the original hem of the jean. 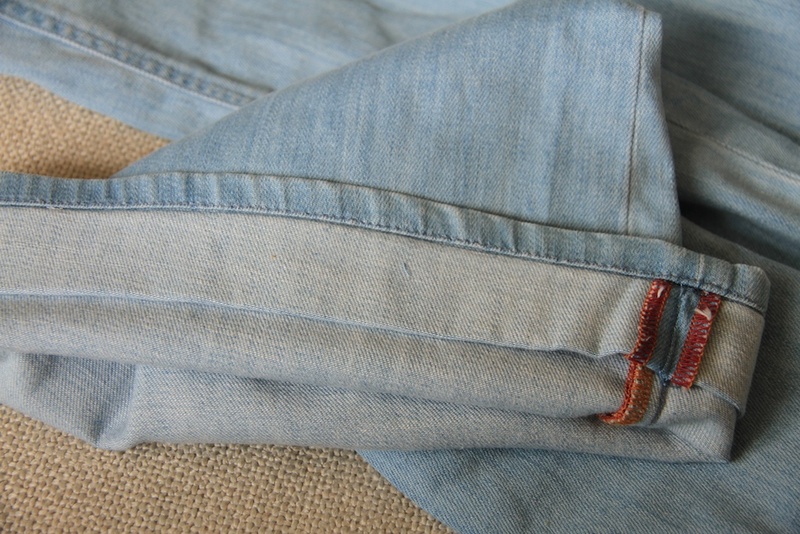 Nothing looks more home sewn than a pair of jeans where the original hem was removed! I can spot that 20 feet away. Looks good this close, looks even better fror 5 feet away. 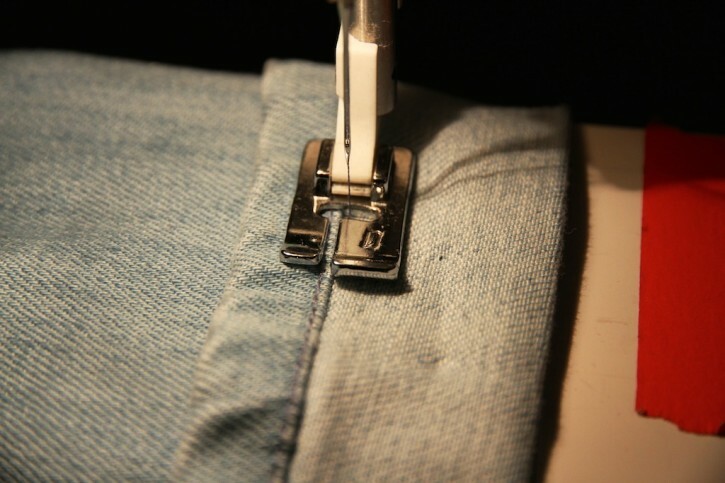 Step 1 – Determine how long you want your jeans by pinning up the hem. It can be good to have friend help with this so you aren’t constantly taking off your jeans to get a straight hem. Measure the length you have pinned up. In this case I had pinned 2.5″ up meaning I would be removing that amount from the hem. I totally forgot to take a photo of this before I started Step 2. Oops! Step 2 – Divide the number you got in Step 1 (2.5″) by 2 = 1.25″. With your jeans inside out fold up the hem – measuring that you have the length of fabric we just calculated between the inside edge of the hem and your fold. 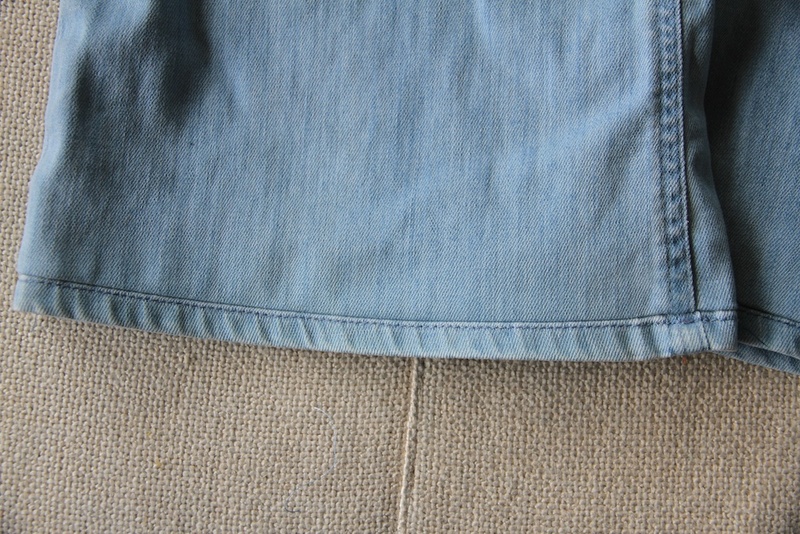 Step 3 – Using a similar thread color to your jeans and an edge stitching foot, if you have one, sew as close to the in side edge of the hem as possible. If the hem is wider than the leg at the place your are stitching, gently stretch the fabric to ease the hem in. These jeans are flared and I had no issues doing this. The needle is positioned right next to the hem. You don’t want to sew on the hem, so an edge stitching foot is useful. Also note that the length of fabric to the right of the needle is the 1.25″ calculated in Step 2. 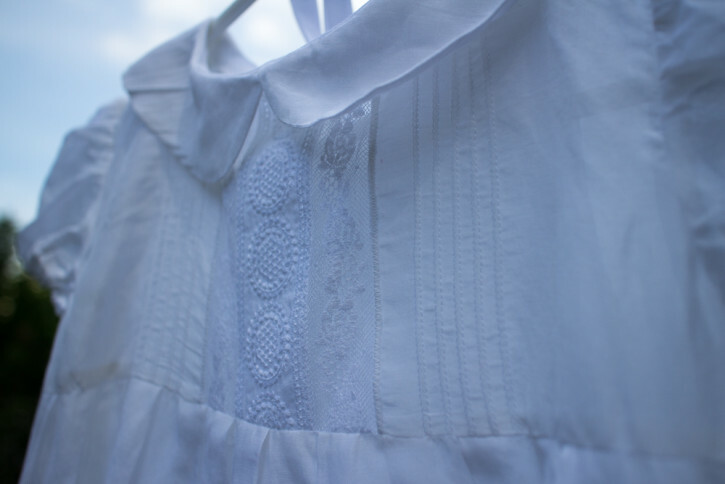 Step 4 – This step is OPTIONAL for serger owners. 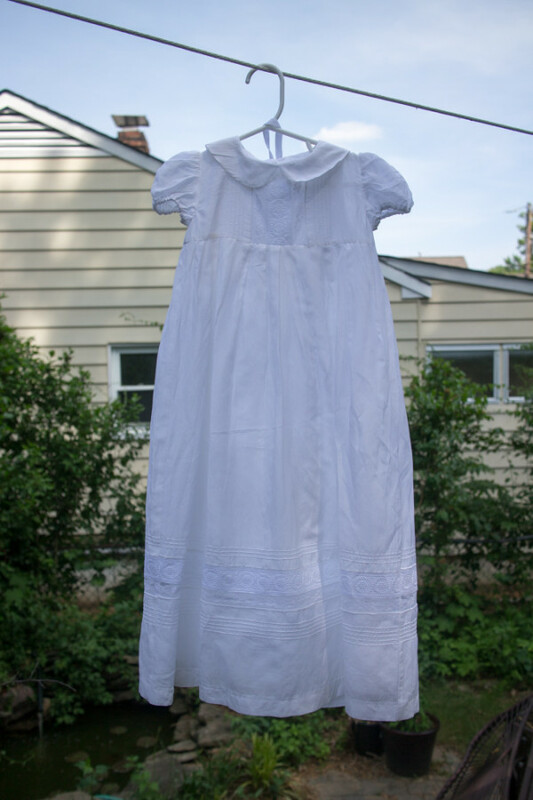 You may want to remove some of the fabric we are hemming up because it’s bulky. 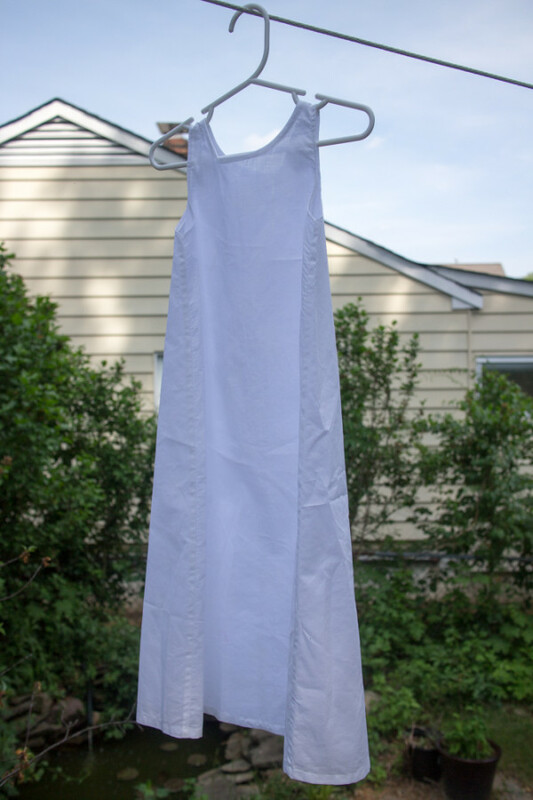 To do this I use my serger leaving about 1/2″ of fabric to the right of the new hem seam. If you think you may want to adjust this hem in the future do not do this. 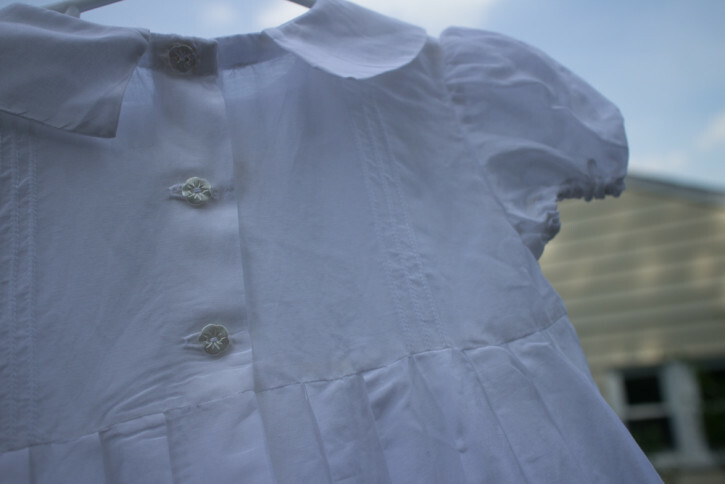 If I didn’t have a serger I would not attempt this with my regular machine. 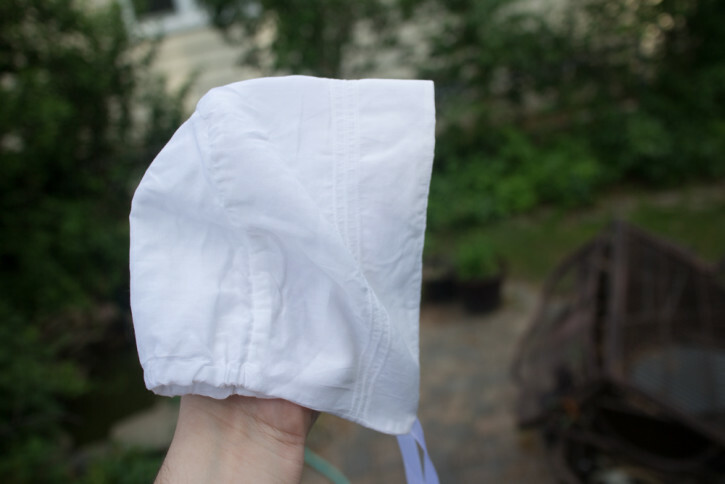 Step 5 – Flip the hem inside and press well. Pull down on the hem as you press to get a neat seam line. Step 6 – Secure the inside fabric by stitching in the ditch on your outside seam lines. 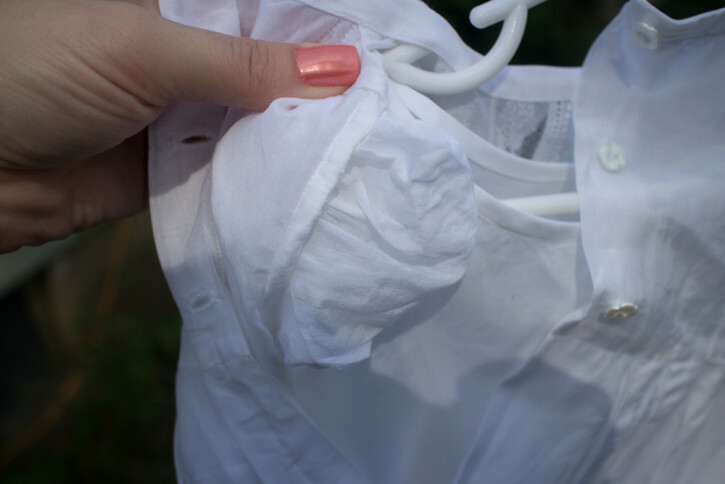 Particularly if you skipped Step 4, this will prevent your excess fabric from falling down and being visible past your hem. Look closely to see the lighter stitches to the right of the side seam. This securing the extra fabric. 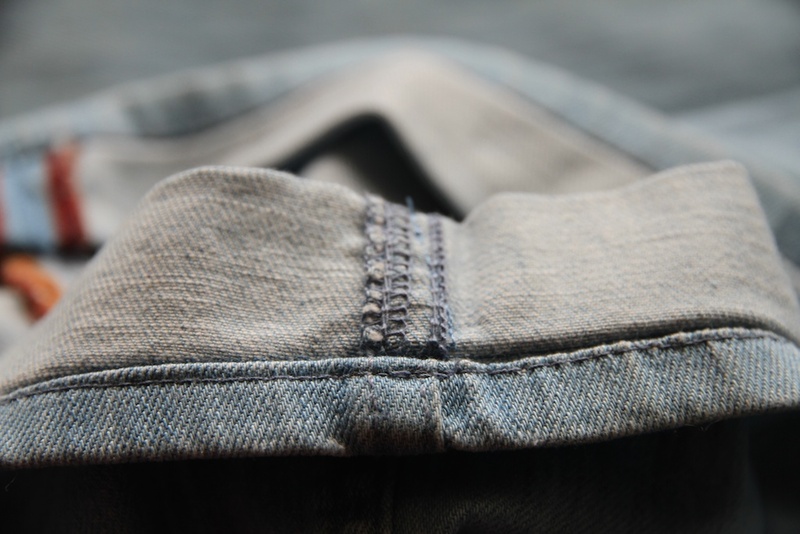 One warning – be prepared to press your hems every time you wash your jeans. 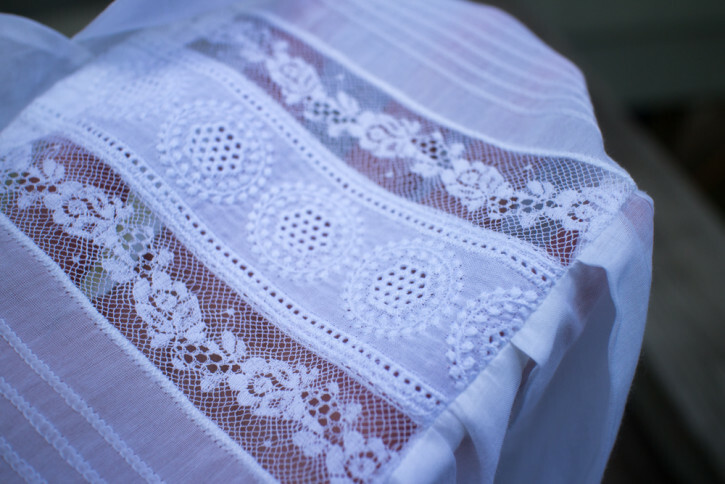 One key to success is pressing your seams so the new seam line blends in with the original hemline. 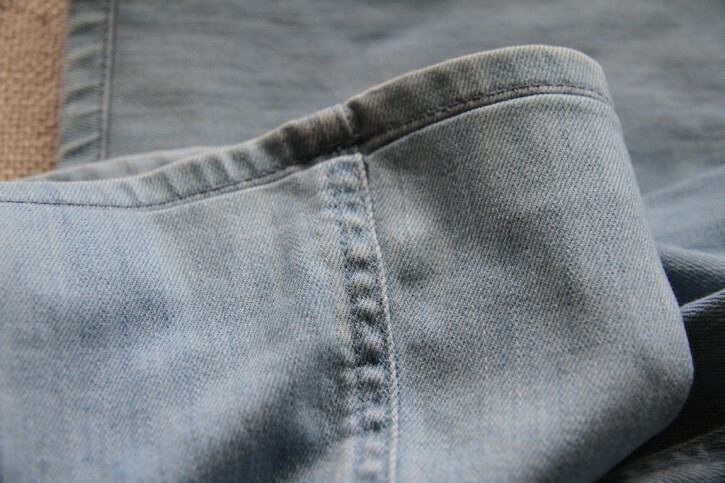 On freshly laundered jeans, the old hem tends to flip up along the new seam line.